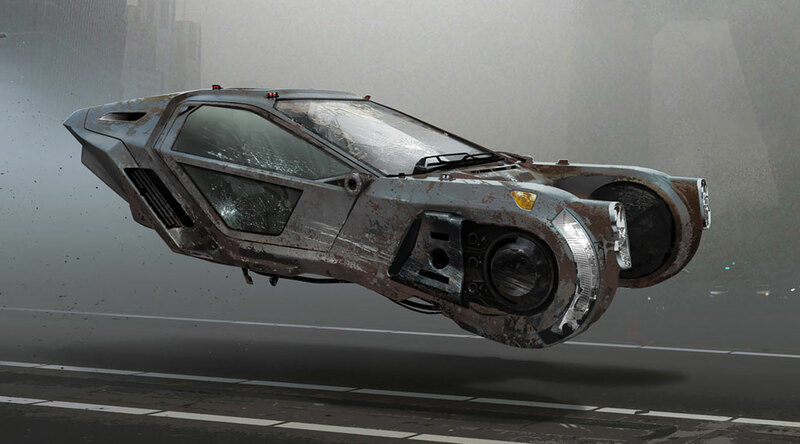 The GoFly challenge has just announced 10 winning flying-car designs. It’s the first phase of a three-part contest, and they’re very cool. Remember the future? That was that time when each of us would navigate our own personal aircraft through three-dimensional lanes of commuter traffic. It’s a dream that goes way, way back: In November 1933, when Eugene Vidal (Gore’s father) was working for Franklin Roosevelt’s Commerce Department, he proposed awarding $1 million to anyone who could invent a flying car, a $700 “poor man’s airplane.” No one could. It seemed plausible, but the technology just wasn’t there. Still, it was a dream many of us have shared, prompted by sci-fi and having watched rocket packs shudder upward and away while lusting after something more akin to K’s sleek spinner in Blade Runner 2049. Like many of us, Gwen Lighter, the CEO and founder of the GoFly competition, has been fascinated with flight and its pioneers since childhood. She’s referring to the GoFly Challenge, a three-phase competition sponsored by Boeing meant to spur—at long last—the development of our flying cars, or flying bikes. Whatever, we’re not choosy. Never mind for the moment the climate imperative of transitioning away from private vehicles and toward more environmentally benign mass transit solutions. Never mind moving road rage into mid-air. This is the long-promised future of our past beckoning, and there’s undeniably cool science involved. The GoFly organization includes a number of aviation experts on hand to mentor and assist design teams throughout the competition. In addition, with entry into the contest comes certain benefits, including—let’s face it, they need it—insurance. be capable of flying 20 miles while carrying a single person. The contest is structured into three distinct phases, with prizes awarded at each level. Up to ten $20,000 prizes awarded based on a written report. These are the winners recently announced. Here they are in alphabetical order by design team, along with their nation of origin. Team’s description: ERA Aviabike is a tilt rotor aerial vehicle type that combines VTOL capabilities of helicopter with range and speed of fixed-wing aircraft. Team’s description: Students and faculty at Penn State University Aerospace Engineering designed Blue Sparrow to be scalable, robust, safe, and fun to fly. Team’s description: HummingBuzz utilizes the fully electric, ducted coaxial rotor configuration, with the fuselage on top, in the shape of a motorcycle. Team’s description: Vantage is a five-rotor airbike. Team’s description: The Mamba is a hexcopter emphasizing safety, certifiability, and performance. Shrouded rotors and a tilting empennage are incorporated. Team’s description: The Pegasus is a Y6 tilt rotor with a wing and a hybrid powertrain with a cruise speed of 70 knots. Team’s description: This device is a canard-wing configuration around a person in motorcycle-like orientation powered by two electric motors with ducted rotors. The aircraft makes a 90 degree transition from vertical take-off to horizontal cruise flight. Team’s description: teTra 3 is not only efficient enough, but also stylish enough to meet commercial requirements. Team’s description: Harmony is a high-TRL compact rotorcraft designed to minimize noise and maximize efficiency, safety, reliability, and flight experience. Team’s description: FlyKart 2 is a single-seat, open-cockpit, 10-rotor, ducted fan, electrically-powered, VTOL aircraft. These designs show an exhilarating degree of ingenuity, smarts, and energy. There are some amazingly out-of-the-box ideas here. Of course, Phase I is just the opening round. We can’t wait to see what comes next.